Successfully Added Speed Dome IP Camera "Iron Dome" - 27x Optical Zoom, CCD Sensor, PTZ, 280 Degree/Sec Movement to your Shopping Cart. 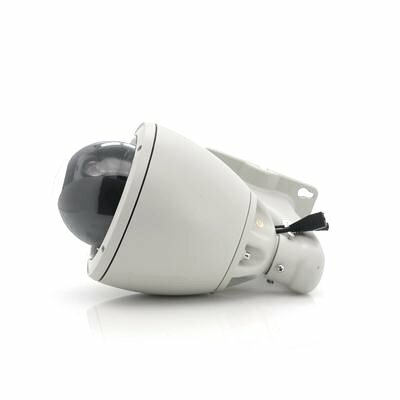 Speed Dome IP Surveillance Camera with 27x Optical Zoom Sony CCD Lens, 360 Degree PTZ and 280 degree per second movement. Secure your property with this professional high end security camera. 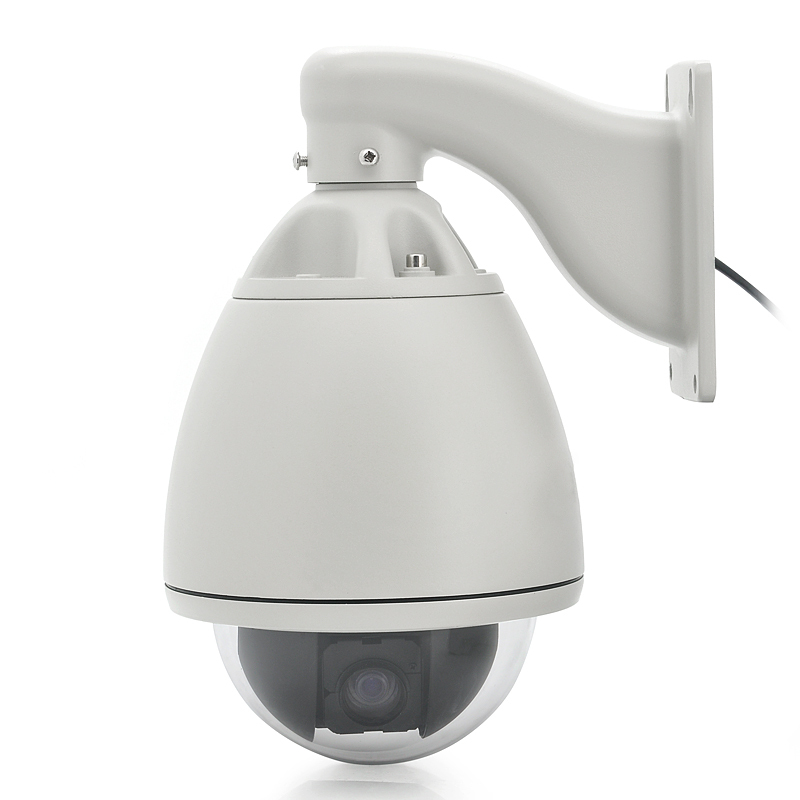 The “Iron Dome” Speed Dome Camera PTZ features an incredible Sony CCD lens with 27x Optical Zoom, allowing you to zoom in on even the smallest details without loss of image quality. Rotating a full 360 degree around its axis, the camera is able to cover an extremely wide area rotating at a speed of 280 degree per second. Use the software to program preset areas to watch and more. As the “Iron Dome” is connected to the internet, you’ll be able to watch the camera’s video feed from any device connected to internet. Just enter the camera's IP address into your web browser and you'll see an instant live feed of all that's going on. Not to mention, you can control the camera remotely and manage its whole array of functions including recording and setting up motion detection alarms! This Sony CCD PTZ Camera with 27x Optical Zoom is now in stock and ready for shipping within one day. Backed by a 12 months warranty, this camera is brought to you by Chinavasion, the leader in wholesale outdoor security cameras.